ECONOMY 'S immersion heaters are designed primarily for direct immersion in liquids such as water, oils, solvents and process solutions, molten materials as well as air and gases. By generating all the heat within the liquid or process, these heaters are virtually 100 percent energy efficient. EEC flanged heaters are easy to install and maintain. These are designed for heating heat transfer fluids, medium and lightweight oils and water in tanks and pressure vessels. 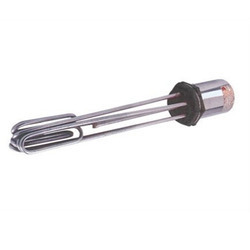 Flanged heaters are ideal for applications requiring low to medium wattage requirements. 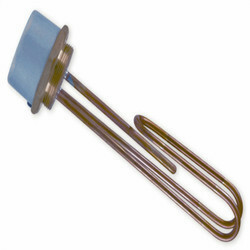 EEC flanged heaters are made with tubular elements that are brazed or welded to the flange. These are supplied with general purpose or moisture-resistant terminal enclosures. 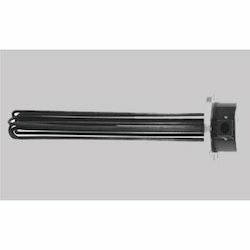 Known for its impeccable performance and longer service life, the offered range of Flanged Immersion Heaters is amongst the finest that are available in the market. Manufacturing of this range done in accordance with the set industry norms and guidelines, its standard of quality never deteriorates. In addition, its reasonable pricing, makes the product highly asked for. Flange Material Carbon Steel, Various Stainless Steels, etc. Immersed length Up to 144 inches. We are amongst the leading manufacturers and suppliers of this commendable range of Water Immersion Heaters. For reasons of maintaining this reputation, we engage in the utilization of high grade raw materials and modern machines, following the set industry norms and guidelines. Owing to this, the offered range is known to have a superior performance and a longer service life. For the purpose of making the finest Oil Immersion Heaters available in the market, we engage in the utilization of high grade raw materials and modern machines, in accordance with the set industry norms and guidelines. Owing to this, the offered product is known to have a superior performance and a longer service life. In addition to this, the offered product is marked at the most reasonable rate possible.